"Anarchism is a beautiful path, but very rough. But you have to follow it and once you're on it you cannot leave it, it envelops you, it intoxicates you . Anarchism is love, freedom, equality, humanity in all conditions. Neither borders, nor colour, nor race, nor flags! ... In anarchism there is only humanity, human feelings, hope for all, the maximum you can get ..."
Isabel Mesa Delgado was born in Ronda, Malaga province, Spain, on December 30, 1913, into a working class anarchist family. She was later to say with pride that she was the daughter, granddaughter and great granddaughter of anarchists. At the age of eleven she began working as a seamstress and at fourteen moved to Ceuta where she joined the CNT. She found it hard to integrate into the organisation as a woman but finally got a CNT card at the age of fifteen. The CNT began to organise women workers in Ceuta. When a strike occurred at the tuna fishery of Ceuta, Isabel spoke to the North African women who had been brought in to work there at half the wages of indigenous Spanish women to join the strike and fight for better conditions for all. Within twenty four hours the strike was won. There was a very active ateneo set up in Ceuta by anarchists, which gave literacy courses to workers as well as sponsoring music, painting, Esperanto and naturism. There were many large meetings where the ideas of revolution and anarchism were broadcast. The CNT decided to provide a library and its carpenter members built book cases. Books were supplied from the homes of members and it was decided to launch an appeal for more. There were no chairs but the carpenters built benches. Isabel became librarian of the ateneo for the next fifteen years. After the death of her father in 1934 she moved to Tetuan and joined a branch of the Libertarian Youth there, which operated under cover of an Esperanto society. She was expelled from there because of her anarchist activities and returned to Ceuta. Ceuta and Tetuan fell to the forces of Francoism on July 16, 1936. Thousands were shot by the forces of reaction. Isabel was at the forefront of the fighting against the Francoists, but, after having help many others to flee, had to escape on the last boat out of the harbour with 12 others which took her to Marbella. She then moved to Valencia. When this city subsequently fell she managed to escape to Valencia in 1937. She refused to resign herself to the defeat in 1939. She fled to Alicante but was not able to board a ship for Algeria there. She therefore decided to walk to Almeria. From there she returned to Malaga where with others she set up the underground newspaper El Faro de Malaga (The Lighthouse of Malaga) in 1941.The network was discovered by the police and tried in absentia she received two death sentences. She now had to change her name several times. What hurt her most was to have to give up her family name of Mesa, and she now operated under the name of Carmen Delgado Palomares. In Valencia in 1942, along with other anarchist comrades, she was one of the founders of the organization Union of Democratic Women, a secret group with the aim of helping prisoners and their families and other activities against the dictatorship. She set up a newspaper kiosk with her inseparable anarchist comrade, Maruja Lara, with whom she had been involved in activity since 1937. Anarchist papers were distributed secretly from the back of the kiosk. In 1956 she was arrested and detained during eight days at the Samaniego police station in Valencia, during which she was tortured. 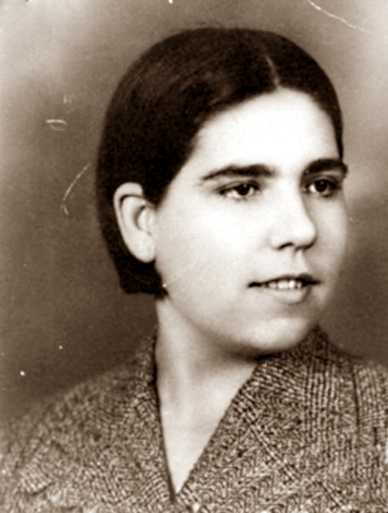 Later after the death of Franco she helped form libertarian groups like Libre Estudio (Free Study), the Federation of Pensioners of the CNT, Radio Klara and the Libertarian Ateneo Al Margen of Valencia. She was a member of Dones Lliures (Free Women) and the Salvador Segui Foundation of Valencia. Isabel died on February 25, 2002. At her funeral, and in accordance with her wishes, her body was wrapped in the red and black flag and the old CNT Song A Las Barricadas was sung.